If you are guilty of a criminal offence, you might be given a good behaviour bond. A good behaviour bond is a court order which imposes certain conditions on you for a set period of time. A good behaviour bond can be given instead of a jail sentence, or alongside other penalties such as fines. 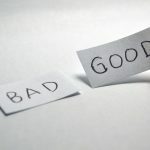 Whether or not a good behaviour bond will appear on your criminal record largely depends on whether you have received a conviction along with the good behaviour bond. Under what circumstances would I get a good behaviour bond? Good behaviour bonds are often granted for less serious offences. You are more likely to be given a good behaviour bond without conviction – which called a ‘Section 10(1)(b) bond’ (now conditional release order without conviction) – for a summary offence or a minor indictable offence than for a more serious offence. A good behaviour bond is intended to reduce the chance of you reoffending by imposing a number of conditions which you will need to abide by to avoid further penalisation. 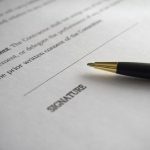 Your defence lawyer can advise you as to the likelihood of being granted a good behaviour bond in your case, and the type of good behaviour bond you are likely to get. Some things that might be taken into consideration by the magistrate or judge in deciding on a good behaviour bond include your previous criminal history, the likelihood that you will reoffend during the term of the bond, and any risks the judge or magistrate believes you might pose to the general community. 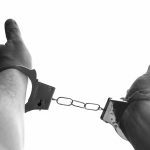 In many cases, you may be able to avoid a criminal conviction by getting a section 10 dismissal or conditional release order with a good behaviour bond. This means that even though you are found to be guilty, you don’t face any penalties. Provided you keep to the conditions on your non conviction order, the charges won’t show up permanently on your criminal record. What type of conditions are normal for a good behaviour bond? Undertaking mandatory counselling or rehabilitation to address any underlying drug, alcohol or mental health issues. Avoiding associating with certain people. Restrictions around undertaking specific activities. Requirements to report to a parole officer at regular intervals. If you believe the conditions of your good behaviour bond are too onerous you can appeal to have them revoked or amended. This is best done with the advice of an experienced criminal lawyer. 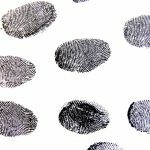 If I have received a non conviction order with a good behaviour bond, will it show on my criminal record? As a Section 10(1)(a) is a dismissal of your case, it will not show up on a regular criminal record. However, if you have been placed under a good behaviour bond under Section 10(1)(b)(now conditional release order without conviction), this will show on your criminal record for the duration of the good behaviour bond and then be removed– as long as you don’t break the conditions of the bond. Section 10 bonds (now conditional release orders without conviction) can last for up to two years. Section 9 good behaviour bonds come with a criminal conviction, and can last for up to five years. What if I don’t get a non conviction order and I am convicted? If you get something other than a non conviction order, it will show up on your criminal record permanently, regardless of whether it is a Section 9 bond, or a Section 12 bond which is also called a ‘suspended sentence’, or a fine, community service or another penalty. A top criminal defence lawyer can help you to get the least possible penalty, including a non conviction order where appropriate. 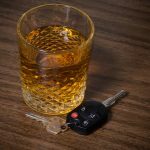 Can I Get a Section 10 Dismissal or Conditional Release Order for Drink Driving? What are the Conditions of a Good Behaviour Bond? 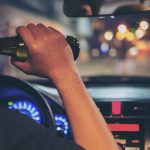 What Happens if I Get A Good Behaviour Bond for Drinking And Driving? 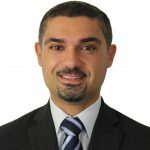 How Can Traffic Offence Lawyers in NSW Help in Court? Can I Appeal A Disqualified Licence from RMS?